South America presents so many reasons to explore it’s diversity of nations, from the captivating and energetic cities, to the phenomenal landscapes and passionate spirit of its culture and people. This magnificent 17-night small group tour will allow you to discover it all, from Peru’s ancient Inca heartlands, historic capital and luscious jungles, to the world-famous natural wonders and enigmatic cities of Argentina, and the vibrant dynamism of Brazil’s vivacious Rio. Encounter breath-taking wildlife, learn about the fascinating cultural heritage of the locals, traverse spectacular trails and admire the sensational contrasts in this very special corner of the world (INT-GGSGC). Please note: The minimum age for this tour is 15 years and over. Welcome to Peru. Upon arrival, transfer to your hotel in Lima, settle in and head to a welcome meeting at 2pm. Afterwards, you’ll enjoy a walking tour of downtown Lima and the city’s UNESCO-Listed centre. Flanked by streets of ornate colonial mansions, palaces and churches, Plaza Mayor is the greatest spot soak up Lima’s historic ambience. 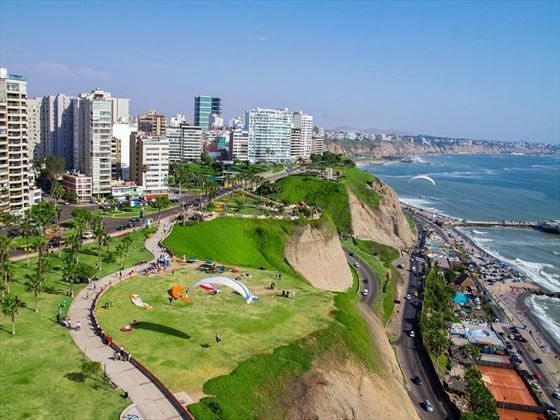 If you arrive early, we recommend taking a walk around Miraflores to explore Central Park and LarcoMar, or head to Parque del Amor for a beautiful view of Lima’s beaches. Alternatively, you could take a tour of Pachacamac (30km from downtown Lima), the Museo de la Nacion and the Gold Museum. 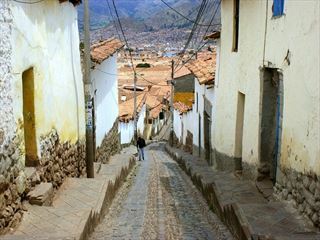 Take an included early-morning flight to Cusco, taking around 1.5 hours. This is a city steeped in history, tradition and culture, and is the perfect base to explore Incan history and enjoy outdoor activities. Spend a little time acclimatising to the 3,450m-high altitude, and then head out on an orientation walk with your tour leader. 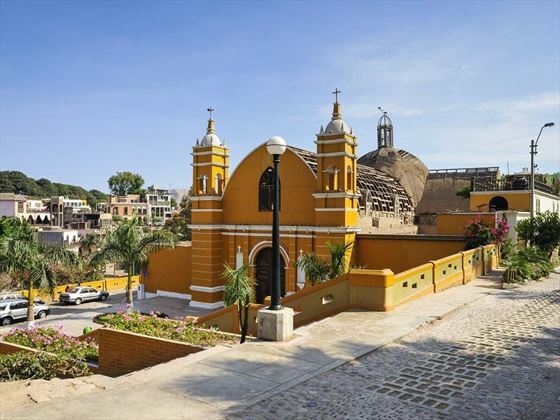 Visit the façade of Qoricancha Temple, the local San Pedro Market, the Main Square, Regocijo Square and San Blas Square, and walk past the 12 Angled Stone. Your last stop will be the Chocolate Museum, where you’ll have the opportunity to taste some hot chocolate made from local cacao beans – this is a great opportunity to purchase some gifts or souvenirs in the small gift shop. Cusco Full or Half Tourist Ticket Pass – Full gives access to 16 archaeological sites in Cusco, the half offers access to selected sites. 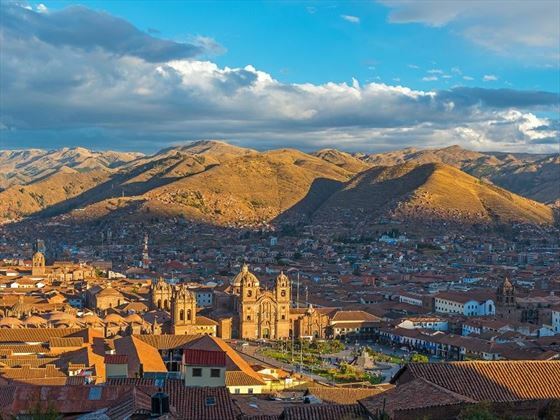 (Transport & Guides Not Included), Cusco City Tour, Cusco Pre-Colombian Museum, Cusco Inca Museum, Cusco Cathedral Entrance Fee, Cusco Coricancha Temple Entrance Fee. Today you will travel by private bus through Sacred Valley, which will take around two hours. This luscious valley was known as Wilcamayo to the Incas, and has long been the main source of food for the high Andes; maize crops can be seen surrounding the river, and covering the terraces carved high into the valley walls. Visit a local community within the valley to learn about the daily lifestyle and activities, and if your visit coincides with a market day, you can browse the stalls in search of hand-painted beads or warm ponchos. 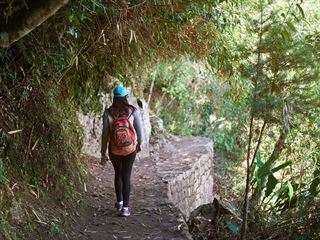 Later in the afternoon, board a train from Ollantaytambo to Aguas Calientes, which is nestled in the cloud forest at the foot of Machu Picchu. 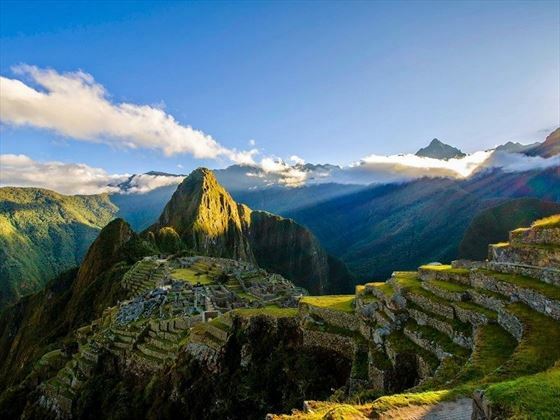 You’ll take an early-morning bus ride to Machu Picchu today, departing at 5.30am. Upon arrival (6-6.30am), you’ll enjoy a guided 1.5-2 hour tour of this incredible site, with plenty of time afterwards to explore the many temples, palaces and living quarters. After taking advantage of the seemingly endless photo opportunities, return to Cusco. Enjoy time at leisure to relax, shop and explore more or Cusco’s sights, or simply rest your legs at a café on Plaza de Armas. For those craving more adventure, we recommend taking a mountain bike tour into the surrounding hills. Today you will travel by local bus across the spectacular Altiplano to Puno, located on the shores of Lake Titicaca (around 6 hours). Mingle with the locals in this melting pot of Aymara and Quechuan Indian cultures, and see how traditional Andean customs are still strongly presented here. If you’re lucky, your visit may coincide with one of the vibrant evening parades, where the streets bustle with costumed dancers and musicians. 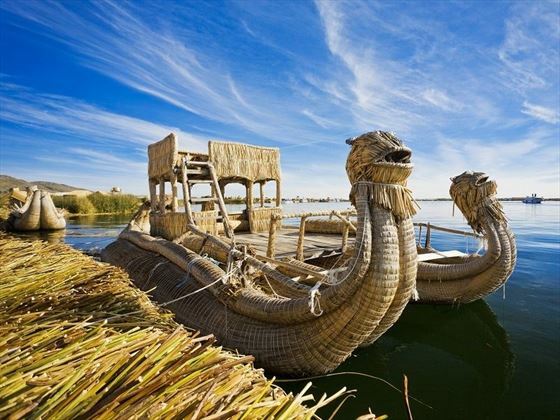 Today you will take a tour of Lake Titicaca via a slow motor boat, stopping off to visit the Uros Floating Islands; Made using versatile totora reeds found in the shallows of the Lake, the Uros originally built their islands to isolate themselves from rival tribes. To gain a closer insight into the daily like in this region, you’ll be welcomed into the home of a local community for an overnight stay. Make the most of your visit by helping your host family with their daily activities, communicating with them in Quechua, or perhaps trying your luck with a game of soccer. Depart from your homestay this morning and take a bus to Juliaca Airport (approx. 2 hours). In the afternoon, take an included flight back to Lima, taking 1 hour and 40 minutes, and enjoy your last night in Peru with your fellow travellers. Buenos Aires is the ultimate cosmopolitan city, overflowing with Latin passion, European elegance and its own distinctive style. 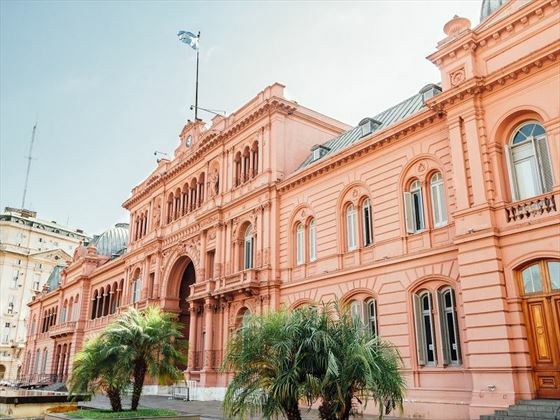 Your adventure here begins with a welcome meeting at 6pm, but if you arrive early, why not visit San Telmo’s weekend markets and artist’s displays, or you could visit La Boca (home to the world-class football team Boca Juniors), Recoleta (the grand cemetery) or Casa Rosada (the Pink House). The flight is not included from Lima to Buenos Aires today. 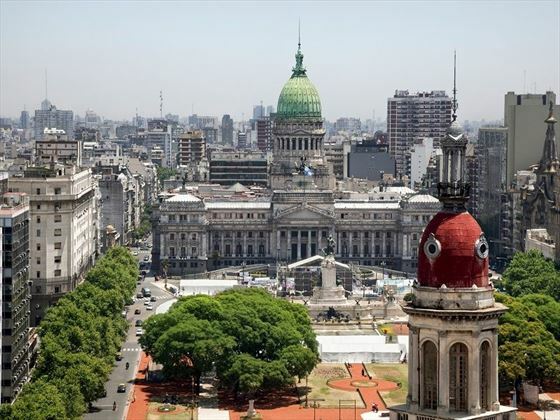 After breakfast, you’ll embark on an orientation walk through this fabulous city, where you’ll be introduced to some of Buenos Aires’ major sights, including the Colon Theatre, The Obelisc and Plaza de Mayo. Along the way, you’ll also learn a little more about Argentina’s independence from Spain. 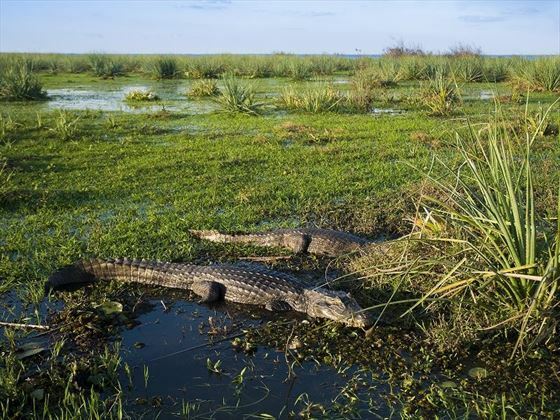 Enjoy one last morning in Buenos Aires before catching a short flight to Posadas, followed by a 1hr drive to Ituzaingo, which will serve as your base to explore the beautiful Ibera Wetlands in northern Argentina. 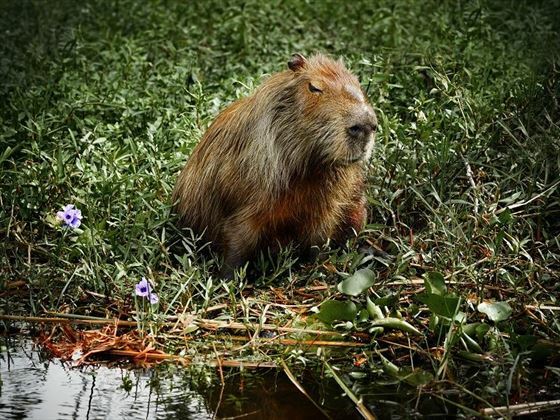 Spanning more than 15,000 square kilometres, these wetlands are around the same size as Belgium, and are home to an incredible biodiversity in its lakes, swamps and lagoons, such as otters, alligators, deer, wolves, black howler monkeys, and capibaras, the largest rodent in the world. Embark on a full-day walking tour and car safari with a guide, including a tasty lunch and plenty of snacks. You could see any number of obscure species today, from caiman to swamp deer, or perhaps even an armadillo or a flock of rhea. Anacondas are also known to inhabit these wetlands, although they’re particularly hard to spot at certain times of year. You’re also bound to catch a glimpse of some of the 350 bird species that populate the area too. Enjoy a hearty breakfast and prepare for a long day of travel today. From Ituizango, board a comfortable local bus to Puerto Iguazu (5 hours), and on arrival at the bus station, you will take a minivan across the border into Brazil, continuing to your hotel in Foz do Iguacu (around 1 hour, depending on traffic at the border). 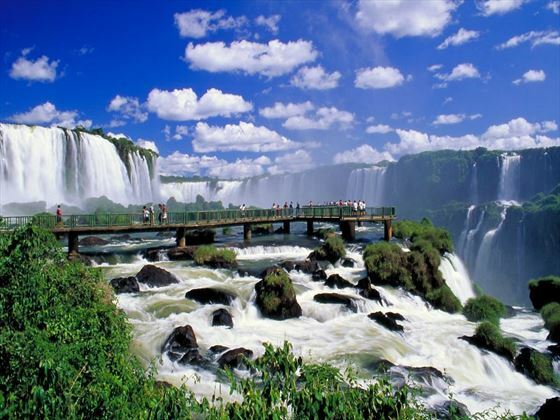 You’ll have the opportunity to visit the mighty Iguazu waterfalls from both the Argentinian and Brazilian sides; there are 270 falls in total, some reaching up to 80 metres in height. From the Argentinian side, a series of boardwalks allow you to gain an up-close perspective of the thundering waters. Later, you’ll visit a Guarani community for the rare opportunity to meet with some of the region’s few remaining indigenous people. You may choose to take an optional helicopter ride over the falls while you’re here – offering spectacular views across the falls and surrounding lush green parks. Enjoy magnificent panoramas on the Brazilian side of Iguazu Falls today, offering phenomenal views of San Martin Island which you can’t quite get from the Argentinian side. Today you will take a flight to Rio de Janeiro, known as the festive heart of Brazil. Settle in to your hotel and then head out on an orientation walk with your tour leader. 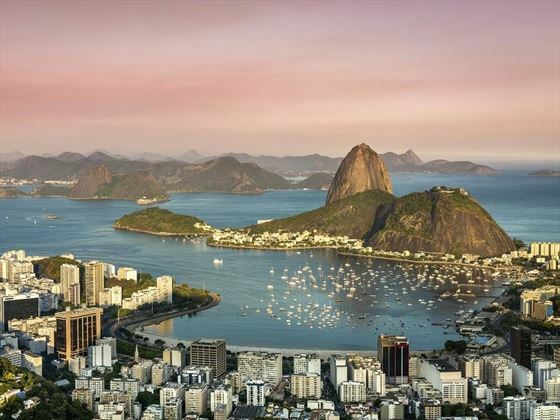 Rio is a fascinating and diverse city, best known for its contrasting images of favelas (shanty towns) and the glitz and glamour of Carnaval. 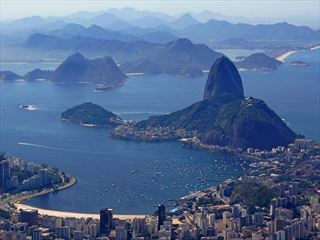 The rest of the day is at leisure, so you could head to one of the gorgeous local beaches to relax and people-watch, or choose from one of many optional activities; perhaps head to a football game, explore the favelas with a local guide, enjoy a carvaval rehearsal, or take a cable car to Sugarloaf Mountain for incredible views. Be sure to check out the Christ the Redeemer Statue too, one of the New Seven Wonders of the World. Today, you’ll encounter a completely different side to Rio with a visit to a local project in Leme. After breakfast, take an easy, slow-paced walk up to a favela in Leme, close to Ipanema in Morro de Babilonia. This project is sponsored by the Rio Sul Mall, and the aim is to reforest the hill. The local guides are from the community, and are very passionate about what they do. 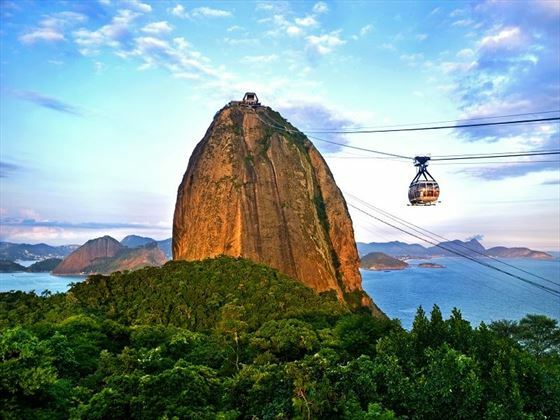 It’s a really inspiring project to witness, and the setting offers a completely unique and spectacular view over Rio, taking in the back of Pao de Acucar Mountain. There are no activities planned for your final day in Rio, and you are free to depart from the accommodation at any time. Rio de Janeiro Santa Teresa Discovery, Total Rio Tour, Rio de Janeiro Corcovado, Christ Statue and Favela Tour, Rio de Janeiro Favela Tour Experience. Immerse yourself in a wonderful 12-day small group adventure tour through Peru’s greatest sights, from the historic capital of Lima, ancient Inca Fortresses and the magnificent site of Machu Picchu, to traditional little villages, ambient markets and fascinating cultural demonstrations from the locals.